I've been combing the City of Torrance website - I can't find any information on the Torrance Telecommunication Committee. Google returned very few results - all from either this blog or the meeting last week. 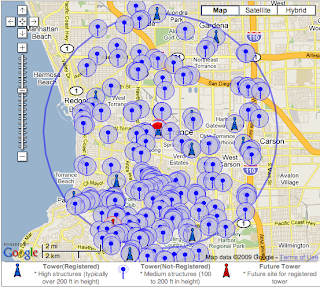 These are current tower locations (203) and a few planned locations (2). 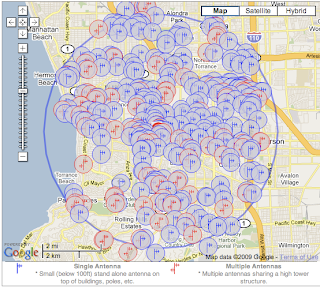 These are current antenna locations (515). 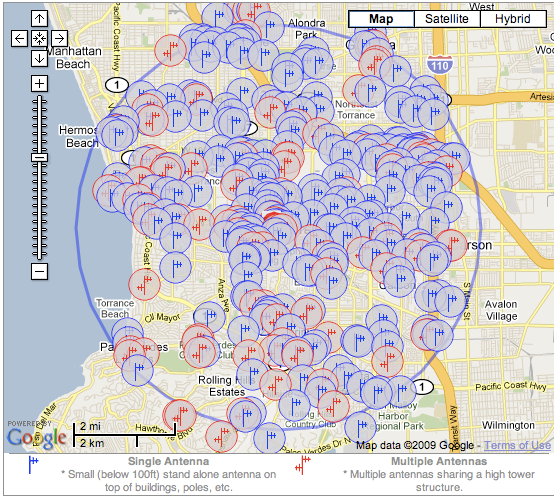 It will also give actual addresses of these locations. The problem with this site is that it isn't entirely accurate. It gets its information through government databases. Unfortunately, towers under 200 feet have lax registration requirements - and most new towers in this city are under 200 feet. What this means is that there may be additional towers that are not on the map. Also not included are any towers that are abandoned. 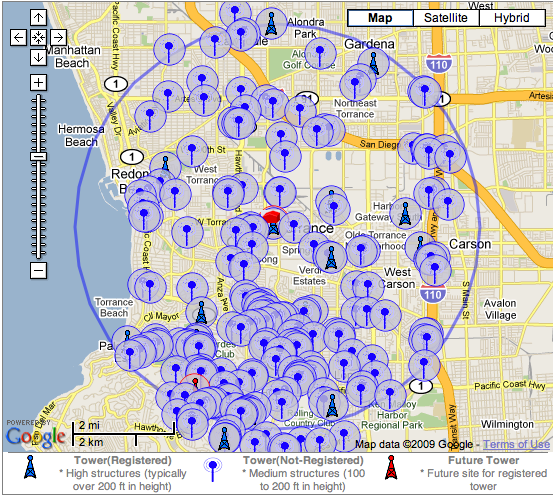 What the city of Torrance should provide for public review is an accurate accounting of all towers and antenna (cell, paging, microwave, commercial). Residents shouldn't be forced to seek out this information themselves.